Monika Mokre, born 1963 in Graz, is a political scientist and senior researcher at the Institute of Culture Studies and Theatre History of the Austrian Academy of Sciences. 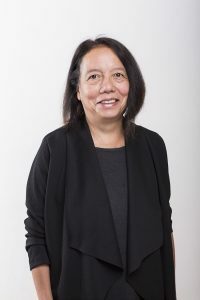 Her research interests include cultural politics, asylum and migration politics, democracy and the public sphere, as well as gender and intersectionality. Monika teaches at various universities, e.g. the Webster University Vienna, the University of Music and Performing Arts in Vienna, the University of Arts in Belgrade, and the University of Graz. In 2016, she was a Visiting Professor at the Department of Political Science of the University of Vienna. She is a member of the Fellowship Committee for Grants of the Austrian Academy of Sciences and deputy chair of the Advisory Panel on Cultural Diversity of the Austrian Commission for UNESCO. She also worked as an evaluator for the FP 7 of the European Commission.